U.S. Secretary of State Rex Tillerson cast the poisoning of an ex-spy in Britain as part of a "certain unleashing of activity" by Russia that the United States is struggling to understand. He warned that the poisoning would "certainly trigger a response." Tillerson, echoing the British government's finger-pointing toward Moscow, said he didn't yet know whether Russia's government knew of the attack with a military-grade nerve agent, but that one way or another, "it came from Russia." He said it was "almost beyond comprehension" why a state actor would deploy such a dangerous substance in a public place in a foreign country where others could be exposed. "I cannot understand why anyone would take such an action. But this is a substance that is known to us and does not exist widely," Tillerson told reporters as he flew from Nigeria to Washington. "It is only in the hands of a very, very limited number of parties." 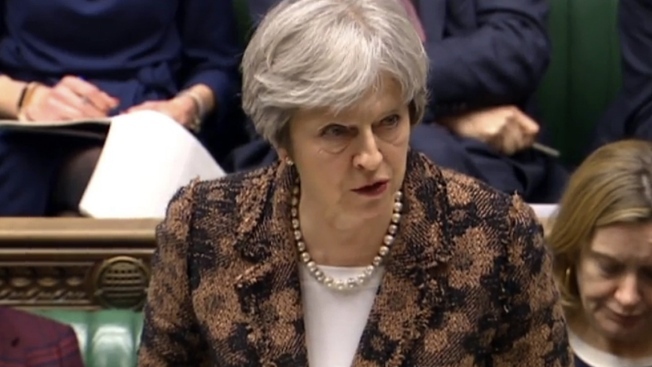 British Prime Minister Theresa May said that Novichock, the nerve agent used against ex-spy Sergei Skripal and his daughter, was developed by the Soviet Union near the end of the Cold War. Skripal, 66, was a Russian military intelligence officer before flipping to the British side in the 1990s, going to jail in Russia in 2006 and being freed in an exchange of spies in 2010. Moscow has dismissed the suggestion it was involved in his March 4 poisoning as "a circus show." Tillerson, who spoke Monday by phone with British Foreign Secretary Boris Johnson, said he's grown "extremely concerned" about Russia, noting that he spent most of the first year of the Trump administration trying to solve problems and narrow differences with the Kremlin. He said after a year of trying, "we didn't get very far." He said if the poisoning turned out to be the work of Russia's government, "this is a pretty serious action." "It certainly will trigger a response. I'll leave it at that," Tillerson said. Tillerson, whose relationship with Russian President Vladimir Putin dates back to his days as Exxon Mobil's CEO, has sought to work with Russia on narrow areas where the two countries could find common ground, such as a cease-fire in southwestern Syria that has largely held since last year. But those efforts have had diminishing results. Tillerson's efforts to persuade Moscow to stop propping up Syrian President Bashar Assad and to pull out of Crimea have yielded little to no progress. At the same time, President Donald Trump's critics regularly accuse his administration of failing to stand up to the Kremlin, especially over Russian interference in the 2016 presidential election. Russia hawks in Congress are particularly miffed that the State Department so far has declined to use a new law letting the U.S. slap sanctions on foreign companies or governments that do business with Russia's defense or intelligence sectors. Those powers took effect in January, but so far nobody has been punished.